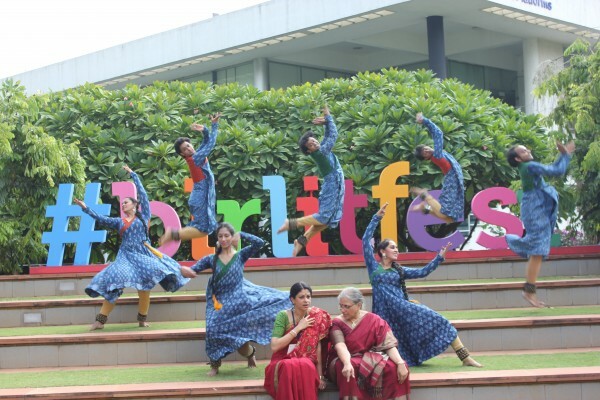 Interspersed with dance performances, excerpts from her autobiography, and tales narrated by her daughter Madhu Nataraj and Tara Kini – Hindustani classical music maestro, Dr. Maya Rao’s legacy was brought to life on a balmy Saturday afternoon. 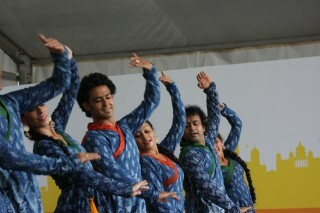 It was for the first time at the Bangalore Literature Festival that a book on dance had been featured. 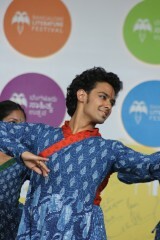 There couldn’t have been a better choice for this hallmark event than Maya Rao: A Lifetime in Choreography. 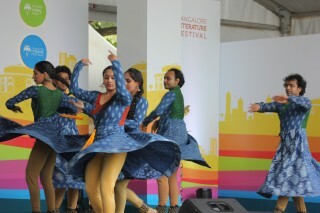 The session began fittingly with a dance performance titled Tandav by the STEM Dance Kampani to commemorate the life of a dancer, choreographer, revivalist, academic, and writer. “Learning dance and observing its influences was all she did, even at 86,” says Madhu Nataraj, recalling her mother’s first encounter with Kathak and her guru Shambu Maharaj, when she received the first Government of India scholarship in 1955 to train under renowned Kathak maestro Shambhu Maharaj of the Lucknow Gharana, in New Delhi. After this, Rao moved to Russia to learn choreography – a stint that met with several hurdles only to later heavily influence her style of choreography. Dr. Maya Rao’s choreography also references literature to which it was invariably linked. Writers and poets like Rabindranath Tagore and William Shakespeare left an indelible mark on her life and her works. When she returned to India, Dr. Rao set up the Natya Institute of Choreography in Delhi – the country’s first and only college to offer a degree in choreography so that dancers could validate their profession with the stamp of a much coveted degree. 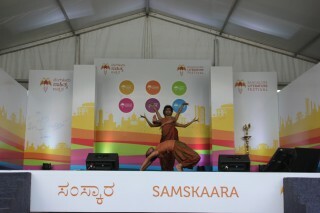 After this, she shifted to Bangalore where she established a school for dance and choreography. 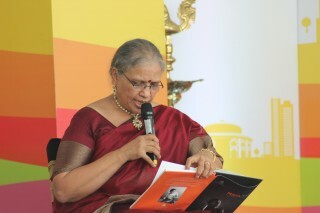 Her daughter then went on to describe much of her life as “lonely” – she traveled and lived in Delhi, Jaipur, Russia and Sri Lanka and much like other pioneers lived with the sole purpose of pursuing her passion. 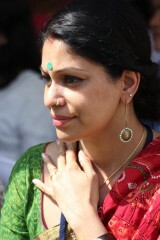 Still, however, Maya didi or Maya akka(she refused to be addressed as anything else throughout her life) wanted more. Her indomitable spirit, wit and sense of humour were infectious and left a lasting impression on all she encountered. “She was ageless. Her body couldn’t keep up with her mind and spirit,” remembered Madhu Nataraj, with a wistful smile while recounting her mother’s legacy.